We are seeking a Managing Solicitor to work at our office in Kalgoorlie for a fixed term period through to 30 th June 2020 with possibility of extension. The successful applicant will help shape the direction of the Aboriginal Family Law Services in the respective region and work with a degree of independence. The Managing Solicitor is responsible for the delivery of legal services, including family law, care and protection matters, family violence restraining orders and criminal injuries compensation. The successful applicant will provide legal advice, court representation and community legal education to Aboriginal people who have suffered, or are experiencing, family violence within their community. In addition, the successful applicant will have managing responsibilities for the 4/5 staff in the regional office and will be required to oversee internal administration practices . This includes overseeing internal administration systems including CLASS, file management, filing and IT systems as well as other administrative and managerial duties including annual appraisals for staff reporting to this role, and approval of leave requests and time sheets. Our Sydney office is currently recruiting a PLT student to work with our Public Interest Law team. As a PLT student with this service, you will develop practical and procedural legal experience and skills across various practice areas. We are recruiting for a PLT student to work 2-5 days per week for a minimum of 50 days with a late May start. Position will be advertised until filled. Public Interest Law is a central part of Justice Connect’s strategy of delivering access to justice through pro bono. The Public Interest Law service makes referrals to pro bono lawyers on behalf of individuals experiencing disadvantage and organisations that assist them or where the matter is in the public interest. Public Interest Law PLTs will undertake the following: · intake of new telephone enquiries · taking information and communicating with clients · file management: maintaining accurate client information · providing supervised legal information to clients · supporting the work of Public Interest Law projects, including communicating with lawyers, case workers, courts/tribunals · drafting correspondence and referral memoranda · legal research, analysis and problem solving The Justice Connect Sydney office is located in the Sydney CBD. This is an unpaid position. Applications will be assessed on a demonstrated interest in and commitment to not-for-profit organisations and the community sector. To be eligible for this position, you must: · have completed a law degree · be currently completing professional legal education to gain admission to practice (ie: through College of Law or equivalent institution) · be prepared to attend Justice Connect at least two days per week for a minimum of 50 days of practical legal training · not yet be admitted to practice Aboriginal and Torres Strait Islander people are highly encouraged to apply. Applications will be reviewed on a rolling basis and the positions will be open until filled. How to Apply: Applications should comprise of a single Word or PDF document including; a cover letter and CV. Please ensure your cover letter includes:· your available start date, your preferred days, how many days placement you can commit to and the details of your GDLP provider. Applications should be emailed to plt.recruitment@justiceconnect.org.au as a single Word or PDF file including “PLT Application – Public Interest Law - Sydney” in the email subject line. PLT Placement - Immigration Outreach, Legal Aid NSW Description Legal Aid NSW's Immigration Outreach Practice invites applications from law graduates and final year law students who are undertaking Practical Legal Training (PLT). The opportunity involves assisting our immigration outreach lawyers with advice and casework services. The position will be based in our head office (near Central), with opportunities to attend our immigration advice clinics in Auburn, Liverpool, Fairfield, Blacktown and/ or Bankstown. This is an unpaid position. It is a part-time placement, ideally 3-4 days per week. Your main responsibilities would include assisting clients to complete immigration forms, legal research, drafting letters, and possibly assisting with casework under the direction of experienced solicitors. About Legal Aid NSW's Immigration Law Practice For details about our immigration law practice, please see: http://www.legalaid.nsw.gov.au/what-we-do/civil-law/immigration-service Please note our immigration outreach lawyers mainly see clients at the early stage of their immigration issues. We do minimal court work. We provide free legal advice and our focus is on helping people to resolve legal issues as early as possible. We also provide community legal education to community groups. To Apply Please provide: A CV A cover letter (no longer than two pages) addressing the following criteria: Completion of law degree or final year law student; Demonstrated commitment to social justice; Experience in an office environment; and Ability to communicate in plain English. The following experience / skills would also be highly valued, and should be mentioned, if applicable: Completion of immigration or refugee law subject as part of your law degree; and/or Experience communicating with migrant or refugee communities. Please indicate which days of the week you are available. Please email your application to: stephanie.blaker@legalaid.nsw.gov.au Applications should be submitted by midnight on 28 April 2019. Justice Connect is a community legal centre, delivering access to justice through pro bono to people experiencing disadvantage and the community organisations that support them. We currently have positions available to work with our specialist legal service Not-for-profit Law, based in our Melbourne office, minimum 3 days per week. Start date late April to early May (negotiable). Not-for-profit Law provides free and low-cost legal assistance to not-for-profit community organisations around Australia. As a Practical Legal Training (PLT) student with Not-for-profit Law, you will receive training and supervision with the opportunity to participate in: Taking instructions and communicating with clients (not-for-profit organisations); Assisting the Duty Lawyer to assess matters for assistance; Legal research and the preparation of materials for the Not-for-profit Law website; Drafting advice and referral documents; and Assisting with the preparation of training materials and attending training sessions. Applications will be assessed on a demonstrated interest in and commitment to not-for-profit organisations and the community sector. Melbourne office is located in the Melbourne CBD. This is an unpaid position. You must: have commenced or completed your Graduate Diploma of Legal Practice (GDLP) at College of Law or an equivalent institution; be able to attend the office 3 or more days a week undertake a minimum of 50 days of practical legal training at Justice Connect. Applications will be assessed on a demonstrated interest in, and commitment to, not-for-profit organisations and the community sector. Aboriginal and Torres Strait Islander people are highly encouraged to apply. Applications will be reviewed on a rolling basis and the positions will be open until filled. Please ensure your cover letter includes: your available start date, your preferred days, how many days placement you can commit to, and the details of your GDLP provider. For information on how to apply and what to expect from your placement, please go to www.justiceconnect.org.au/get-involved/practical-legal-training/ . How to Apply: Send you cover letter and CV as a single Word or PDF file to plt.recruitment@justiceconnect.org.au . Please include “PLT Application – Not for Profit Law Melbourne” in the email subject line. We are a firm of Australian and Singaporean lawyers. Our main area of practice is litigation. We are trusted advisers to high-profile individuals and companies. Our firm handles matters involving: company law, commercial law, criminal law, trust law, family law, wills and probate, and many other areas. For more information on our firm please visit: www.bmslaw.com.au What is on offer: (1) unpaid work placement for an individual in their second year or third year of their Juris Doctor Law degree. The right individual possesses excellent interpersonal and communication skills, has a friendly personality but is not afraid to express their point of view and dresses appropriately. You must also be computer proficient. Ability to speak Mandarin Chinese is advantageous. Internship overview - Conducting general and legal research for our firm's active matters in Australia; - Assisting in the preparation of draft pleadings, correspondence and court forms; - Assisting by researching on the current laws in relation to particular topics given and providing short write-ups; The right candidate will be available 1 day a week during university term, have a keen attitude to learning. This placement is open to persons who have not done any internships/ work placements. Prerequisites: 1. Must be in second year or third year of the Juris Doctor Law degree. 2. Must have great legal research skills (essential - Westlaw, LexisNexis etc.). 3. Must be willing to learn (and not be afraid to ask questions). Starting date is flexible. Pannu Lawyers is a boutique law firm located in the heart of Blacktown We require two PLT students to join our office. The successful applicant must be able to work a minimum of 2 days each week. The successful applicant’s tasks include: administrative duties; drafting case notes; research; managing case files - Family Law & Immigration drafting correspondence (including Court documents); and court attendances. To be successful, candidates must display good communication skills (both written and oral), a can-do attitude, able to manage competing tasks and eager to learn. Please note that this position is an unpaid/volunteer position but for the right applicant can translate into a paid role. How to Apply: Applications should comprise of a single Word or PDF document including; a one-page cover letter, CV and a copy of your academic transcript. Please email your application to smita@pannulawyers.com.au including PLT Application as your subject line. knowmore’s lawyers will provide high quality legal services to clients in a culturally safe and appropriate manner within a trauma informed and multi-disciplinary framework. This role delivers front line legal services and reports directly to either a Managing Lawyer or a Senior Lawyer in the relevant knowmore office, depending on the size of the legal team. This role works collaboratively as a member of the national legal team and within knowmore’s multi-disciplinary model, working alongside other teams delivering intake, social work and cultural support services to clients. At times the role will also work with other partner services to support clients. The role will advise clients who are survivors of child sexual abuse about redress and compensation options, including redress claims under the National Redress Scheme, and acting for clients making such claims. Lawyers will also contribute to knowmore’s policy and law reform work and prepare and deliver community legal education and participate in other community engagement activities, working cooperatively and collaboratively with other staff and service providers. Guided by the organisation’s service plan, the role will involve intrastate and interstate travel to deliver services to clients on an outreach basis, and to undertake community engagement activities. Accordingly, a current drivers’ license is highly desirable, along with the ability and willingness to travel, including to remote and regional locations for up to a week at a time, and to work out of hours. Duties and responsibilities Providing high-quality legal information, advice, representation and referral services to clients who are survivors of child sexual abuse, through telephone and face to face services Contributing as a professional member of a national legal practice; complying with the rules and requirements of relevant legal profession legislation and the Community Legal Centre Risk Management Guide. Working cooperatively and collaboratively, both within knowmore’s multi-disciplinary model of teams of legal and non-legal staff, and with external service providers, to ensure client’s legal and other needs are identified and actioned in a consistent, effective and timely way. Manage a significant caseload of client matters ensuring all service standards and timelines are met Ensure all relevant service data is accurately recorded. Making referrals, including warm referrals, to other service providers where appropriate. Undertaking legal research and drafting to support knowmore’s contributions to law reform and policy and procedural initiatives relating to its client group. Contribute to the preparation and delivery of community legal education and other engagement activities and materials. Undertaking and participating in the development and delivery of ongoing training and professional development activities for knowmore staff and service partners. Contribute to the day-to-day supervision and co-ordination of the activities of volunteers and pro bono providers. Proactively manage own self-care and workload. Act as a Senior Lawyer if required. Undertake other duties and projects as directed. Organisational Obligations Demonstrate an active and dedicated commitment to knowmore’s Mission, Vision and Values. Comply with knowmore’s Policies and Procedures. Observe all legal and legislative requirements. Ensure a high level of confidentiality and integrity. Assist in the development of, and participate in knowmore’s initiatives, projects and events. Cultivate productive and collaborative working relationships and outcomes through open an inclusive planning, continuous improvement and transparent work practices. Liaise with others in a professional, respectful and constructive manner. Take reasonable care to protect their health and safety and the health and safety of others. To engage in professional supervision and other reflective practice opportunities as required. Selection Criteria Hold or be eligible to hold a current practicing certificate in the relevant jurisdiction. An awareness of the legal issues facing survivors of child sexual abuse and demonstrated experience practicing in a relevant area or areas of law; (such as experience in personal injury law and/or acting for victims of crime or other clients who have experienced complex trauma). Understanding of the issues affecting Aboriginal and Torres Strait Islander peoples and the ability to provide culturally safe services to Aboriginal and Torres Strait Islander people and people from culturally and linguistically diverse backgrounds. Ability to work flexibly, collaboratively and professionally within a multi-disciplinary team, as well as with external stakeholders. Demonstrated experience in managing multiple priorities and timelines across a significant caseload of matters and the ability to work at times with minimal supervision, but to consistently consult and report appropriately. Capacity to accept and respond appropriately to constructive feedback regarding professional capability and work performance. Ability and willingness to travel and work in regional, rural and remote areas, for up to a week at a time. Qualifications and other requirements There are mandatory qualifications for this role. A relevant tertiary qualification and professional accreditation is required. The successful candidate will be required to satisfactorily complete a National Police Records Check and a Working with Children Check. The role may involve intrastate and interstate travel to deliver services to clients on an outreach basis, and to undertake community engagement activities. Accordingly a current driver’s licence is desirable. This job description is incorporated into the employment contract. It is intended as a guide and should not be viewed as an inflexible specification as it may be varied from time to time in light of strategic developments following discussion with the position holder. The role will be expected to work to agreed objectives, which should facilitate achievement of the key responsibilities in accordance with the performance review process. Wyatts Compensation Lawyers, one of Australia’s prominent law firms that focus on compensation claims, invites applications from law graduates and final year law students who are undertaking Practical Legal Training (PLT). The opportunity involves assisting our lawyers with work relating to historical sexual abuse cases. The position will be based in our head office (Bathurst St, Sydney). This is an unpaid position. It is a part-time placement, ideally 3-4 days per week. Your main responsibilities would include assisting the Solicitor with completing forms, legal research, file management and some associated administration. How to Apply: Please send your resume and cover letter to Julie at julie@wyatts.com.au . Please note only short listed candidates will be contacted. 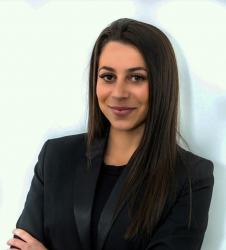 Legal Assistant (three month contract) The opportunity and role Our busy and thriving Motor Vehicle Accident practice in Sydney requires the support of an experienced Legal Assistant to assist for a period of three months. You will be supporting an experienced practitioner and working as part of a high performing team. This role will help support and drive the practice. You can expect to be involved in a wide range of duties and take responsibility for administration aspects of client files. Responsibilities will include: Liaising with clients, lawyers and stakeholders Preparing briefs, legal documents and letters Arranging appointments for clients Generating reports Maintaining data records Billing and account administration Diary and email management To be successful You will be an experienced Legal Assistant with exposure to Personal Injury Law. You will have previously worked within a fast paced team environment with conflicting deadlines and common goals. The following capabilities and qualities will be highly regarded: Proven ability in producing high quality legal documents Outstanding client service and communication skills An ability to manage your own time An ability to deal sensitively with clients Passionate about social justice and plaintiff law About us Slater and Gordon is a leading Australian Personal Injury law firm. Our people are passionate advocates for clients, providing a personal and caring service. We pride ourselves on offering accessible, world class legal services to people from all backgrounds and socio-economic circumstances. 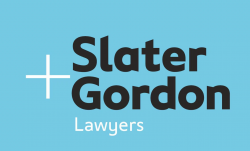 At Slater and Gordon you’re exposed to varied and interesting work and the constant opportunity to make a real difference to the lives of everyday people. Slater and Gordon employees enjoy a genuine opportunity for professional development in an environment that values and recognises high performance.